My birthday was coming up and this year I just wanted a simple, traditional Italian meal. I miss the pasta we had in Italy and LOVE pasta so much that I would happily eat it every day! I looked through the list of Brisbane’s Best Pasta Restaurants recommended by The Urban List and found a few that I would like to visit. Among the restaurants that I shortlisted, a couple of them were not open for dinner on Sunday. That narrowed my list down to Tartufo at the Emporium in Fortitude Valley. We parked right outside the Restaurant and were instantly impressed by what we saw when we walked inside. 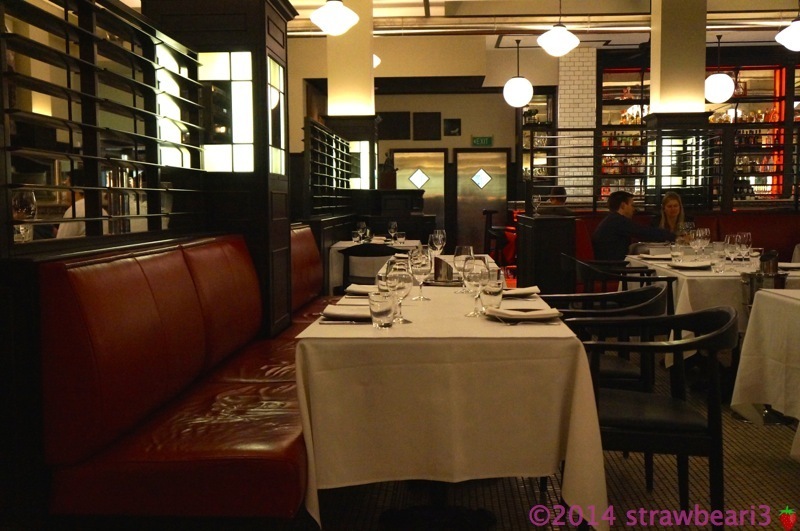 The layout and atmosphere reminded me of Italy – old-fashioned furniture with a Mosaic-tiled floor. 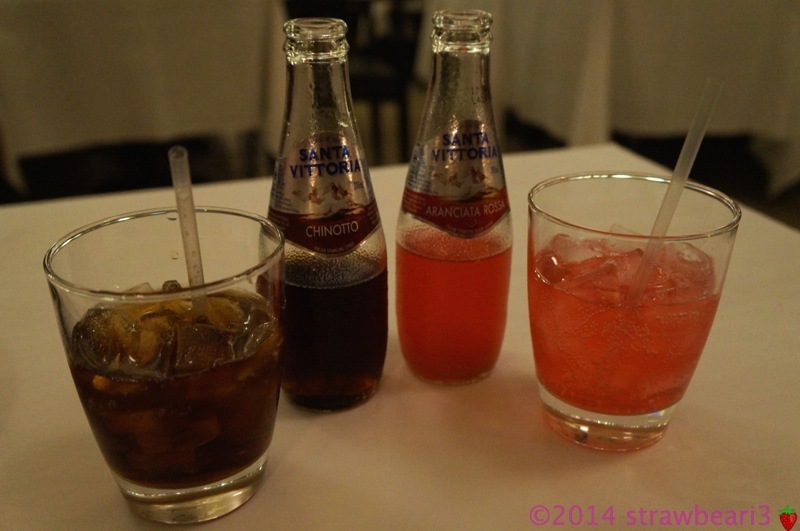 We started with Chinotto @ Sparkling Citrus ($6.50) and Aranciata Rossa @ Sparkling Blood Orange ($6.50) to drink while we perused the menu. There were a few dishes that caught our eye and since it was a special occasion we decided to try them all. 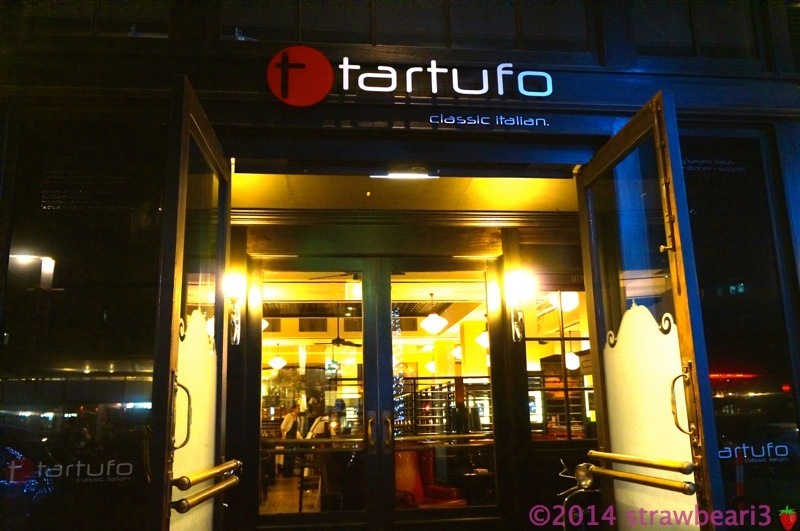 Tartufo was very accommodating as their menu was also designed for sharing. 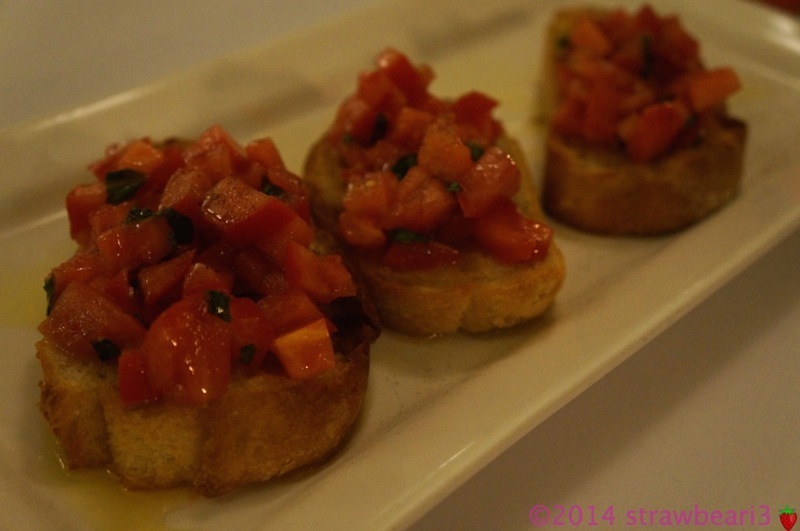 For entree, we had the Bruschetta Al Pomodoro ($7) and Arancini Balls ($16.50). We were certainly impressed by the large serve of bruschetta and wondered what the mains would look like if that was just the starter. 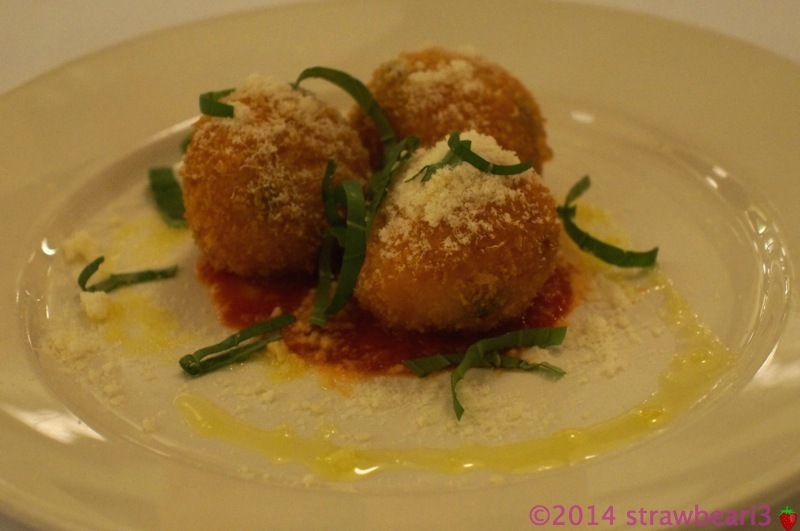 The Arancini Balls were crisp and perfectly matched with the napoletana sauce. For pasta, we ordered Linguine Positano ($26) and Mafalde Al Ragu ($23.50). The waiter advised that the linguine was lighter and that the chef had recommended we start with that. Who are we to disagree? 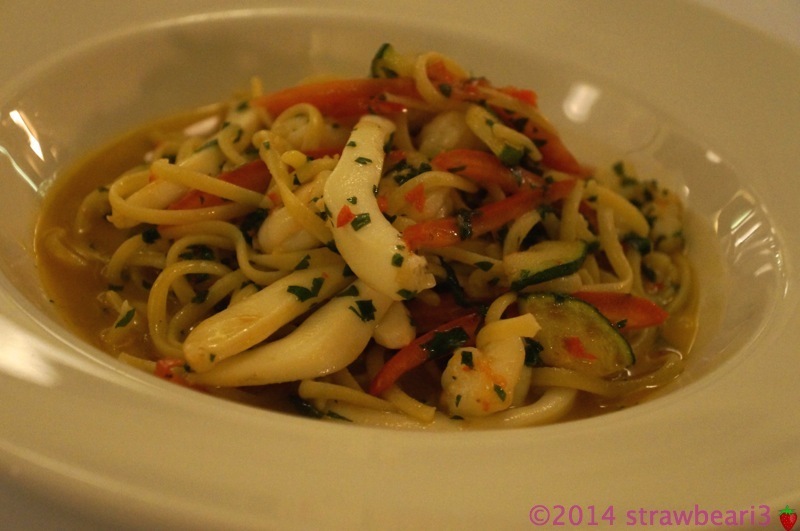 Linguine Positano is a seafood linguine with calamari, prawns, tomato, zucchini, chilli and extra virgin olive oil. The linguine was cooked al dente and the seafood was perfectly cooked. Loved it! Mafalde Al Ragu is a curly pasta with beef and pork ragu topped with fresh ricotta and parmesan. The meat was very tender and the ragu sauce was full of flavour. I loved it but D wasn’t keen on the cold ricotta on the pasta. He would have preferred to have just parmesan. 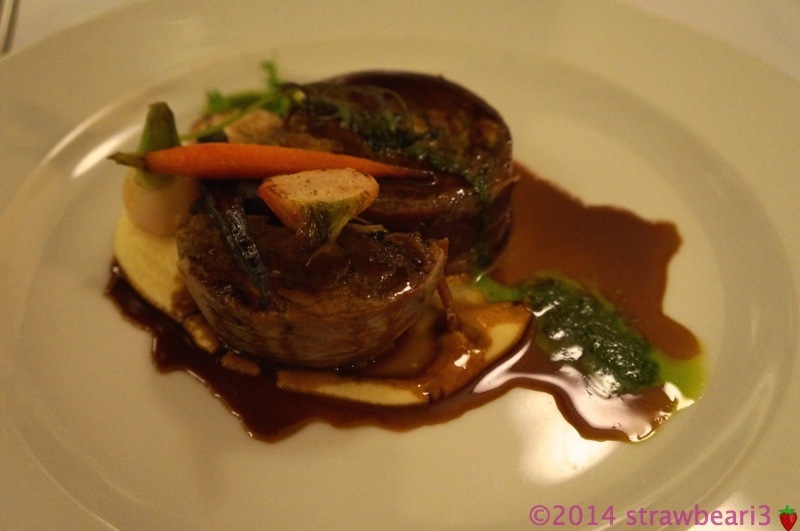 The final dish was Spalla Di Agnello ($37), slow braised lamb shoulder wrapped in prosciutto with spinach, mushroom, celeriac puree, baby vegetables and red wine jus. Since we were sharing the slow-cooked lamb was served in 2 individual plates, each with careful attention given to the plating. We were impressed by the attention to detail and the amount of food on the plate! With birthday cake waiting at home we decided to pass on dessert but they did have a decent selection so maybe next time. I strongly recommend pasta lovers check this place out. 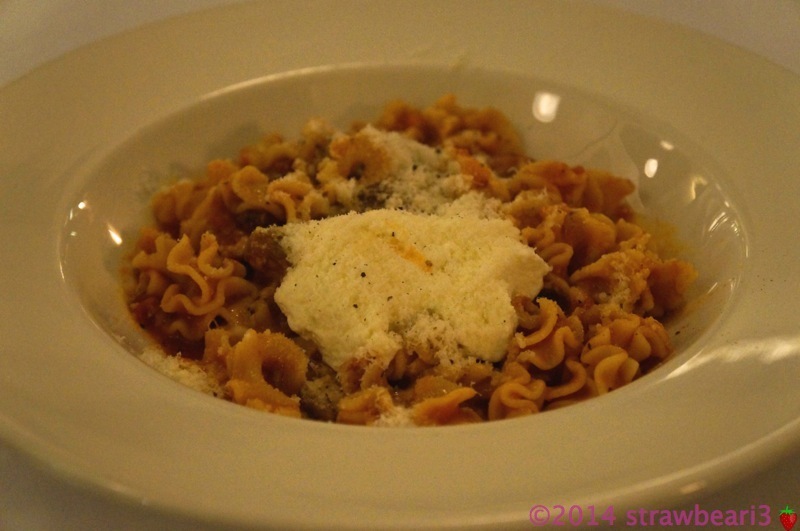 I loved the pasta and was pleasantly surprised by the other dishes as well.